Levín is situated at an elevation of 430 m near the Sedlo mountain (Geltschberg, 728 m). The village was first mentioned in 1169 and became a parish in 1352. Levín was well-known for pottery products. 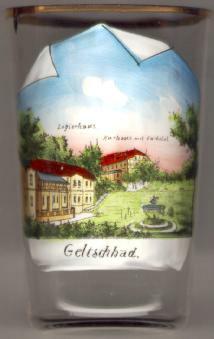 Lázn&ecaron; Jele&ccaron; (Geltschbad, Bad Geltschberg) in the vicinity of Levín was a spa for cold-water cures and a climatic resort since the early 19th century. It was one of the earliest spas of this type in the Austrian empire after Gräfenberg (Lázn&ecaron; Jeseník). The spa building is now used as a recreation home.